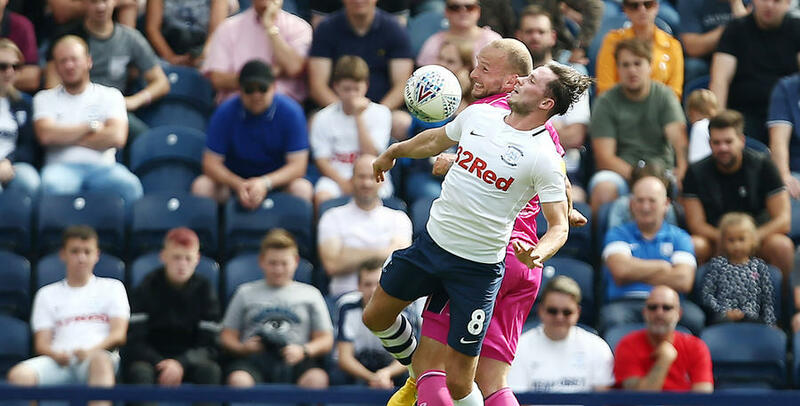 QPR suffered an opening-day defeat at Preston with the only goal of the game scored early in the second half by Alan Browne. In a game of few clear-cut chances for either side, the match was won when Browne headed beyond Matt Ingram in the 50th minute. Rangers came agonisingly close to an equaliser with just two minutes remaining but substitute Idrissa Sylla’s close-range effort was brilliantly tipped over the crossbar by home keeper Declan Rudd. Steve McClaren named the same team that started against Union Berlin seven days ago while handing the captain’s armband to summer arrival Toni Leistner. It meant Matt Ingram lined up between the sticks with a back four, from left to right, of Jake Bidwell, Joel Lynch, Toni Leistner and Ossie Kakay. Josh Scowen and Mass Luongo sat just in front of the back four, with Ebere Eze pushed further forward. Bright Osayi-Samuel began on the left with Luke Freeman on the right, while Matt Smith played through the middle in the attack. Alex Neil has made five signings so far this summer for Preston and his first teamsheet of the season saw him name one in the starting XI, Andrew Hughes, and two on the bench, Ryan Ledson and Graham Burke. The home boss had to make do without the services of Billy Bodin who would have missed today’s opener through suspension but the Welsh international was sidelined in any case with an ACL injury sustained in the days leading up to the fixture. Sean Maguire was also out owing to a hamstring problem. After an opening of few chances at either end, the first opportunity of the afternoon fell to the visitors when a sweeping passing move eventually found Callum Robinson in space on the left. He had time to take a touch before shooting goalwards but his curled effort from 25 yards was high and wide. Moments later Darnell Fisher reached the byline but saw his low centre from the right cleared to safety by R’s skipper Leistner. Tom Barkhuizen was next to go close for the Lilywhites but his effort from 20 yards flew just wide. QPR were working hard to contain Neil’s side and had to be alert on 22 minutes when Robinson again found space on the edge of the area but his shot was well blocked by the impressive Leistner. Rangers looked to ask questions at the other end of the pitch and on 27 minutes Freeman had a go from distance but shot wide. Sixty seconds later, Eze got on the ball and moved forward into Preston’s final third. After exchanging a neat one-two with Freeman, the QPR number ten found space to shoot but was unable to hit the target from the edge of the box. As QPR worked their way more into the game, they were almost caught on the break but fortunately for Rangers Barkhuizen’s shot was deflected just wide with most of Deepdale thinking his effort had crept in beyond Ingram. Just before half-time, Smith had a glorious chance to give the visitors the lead when he met Freeman’s brilliant cross from the left but his guided header bounced inches wide with Preston keeper Declan Rudd beaten. At the break, McClaren replaced Osayi-Samuel with Ryan Manning. The Irishman joined Scowen in a deeper role while Luongo was pushed further forward to play behind Smith, with Eze on the right and Freeman on the left. But just five minutes into the second period Preston took the lead. Josh Harrop’s freekick from the left was played to the back post and Alan Browne rose highest to loop the ball beyond Ingram and into the back of the net. Eze won a free-kick after a great run as the R’s looked to get themselves back in this game, which Freeman took but Rudd gathered comfortably. With 25 minutes remaining, McClaren made his second change of the afternoon by introducing Paul Smyth for Luongo. In what was a scrappy second period, both sides struggled to create any notable chances after the opening goal until Robinson forced a fine save from Ingram who dived low to his right to push the ball to safety. Idrissa Sylla came on for Smith in the closing ten minutes and soon got into the action, heading Bidwell’s free-kick just wide, although the referee’s assistant's flag was raised. And just two minutes before the final whistle he went agonisingly close. Freeman’s freekick from the right was deflected into Sylla’s path, and he fired goalwards from eight yards but Rudd pulled off a stunning save to tip the ball over the crossbar. In a frantic finish, Eze had a late penalty appeal turned down which proved to be Rangers’ last real chance of the day. A disappointing way to start the season but Rangers will look to bounce back when they get their home campaign underway next weekend against Sheffield United. 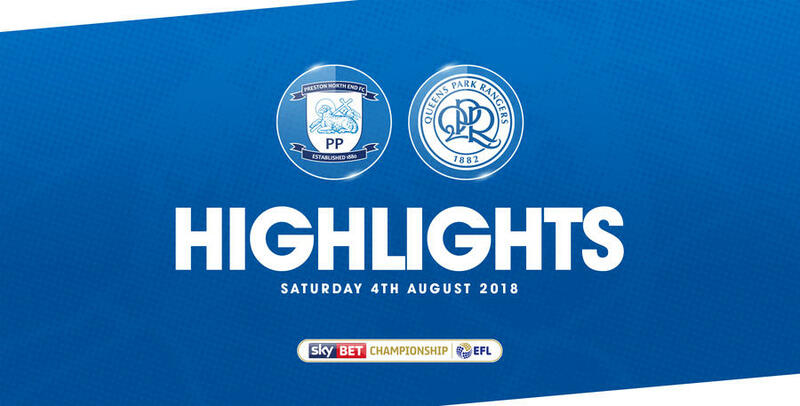 HIGHLIGHTS from QPR's 1-0 defeat against Preston North End at Deepdale.